Board members showed little sign of how they intend to move forward on the issue of arming campus officers. That's likely because another report commissioned by the university to look into officer conduct and actions during the June 2018 shooting has yet to be released. Portland State University plans to establish a committee of students and faculty to summarize campus responses to the board of trustees as it continues to grapple with pressure to disarm campus officers. The Campus Public Safety Report Review and Response Committee will be charged with providing campus feedback to the board by May. The board will direct administrative staff to assess the impact of the recommendations, including fiscal impact and feasibility. Board member Gale Castillo announced the plan at a special board of trustees meeting Thursday, where the board and the campus community could ask questions of the independent consulting firm tasked with reviewing campus public safety policies at the university. The consulting firm Margolis Healy ultimately recommended PSU keep its armed campus officers. 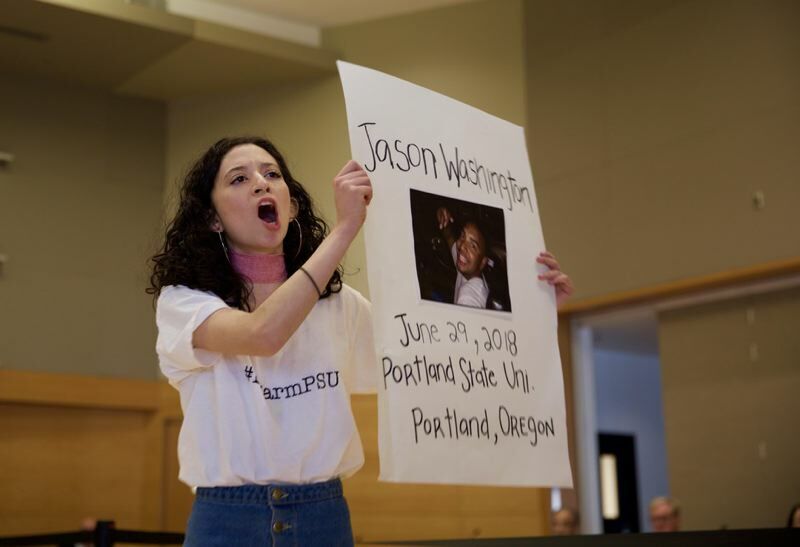 Students and faculty prepared once again to grill board members about the results of the review, which was commissioned after armed campus officers shot and killed a man named Jason Washington near campus last year. Members of PSU's student union appeared largely unimpressed by Castillo's announcement, taking time during a break in the meeting to read the names of people killed on college campuses.